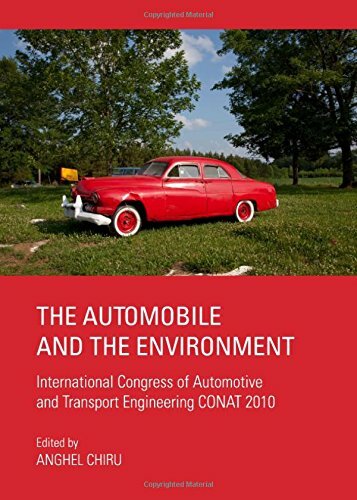 The Automobile and the Environment gathers a selection of papers presented by researchers and engineers from academic institutions and the automotive industry at the International Congress for Automotive and Transport Engineering CONAT 2010, organized by the Transylvania University of Bra ov in Romania, SIAR (The Society of Automotive Engineers from Romania) and SAE International, under the patronage of FISITA (The International Federation of Automotive Engineering Societies) and EAEC (European Automobile Engineers Cooperation). The book contains four parts: 1. Automotive Powertrains 2. Alternative Fuels 3. Vehicle Dynamics and Vehicle Systems Design 4. Transport, Traffic and Safety By studying this book, engineers will be given the opportunity to evaluate the new visions and concepts being applied in the modern automotive industry, and also the chance to identify themes for future studies in the context of sustainable development, the use of alternative energy, reorganisation of industry strategies, and the increase in competitivity through innovation. Anghel Chiru (ProfEng, PhD) has extensive experience in academic and research activities, and as an editor of technical publications in the field of automotive engineering.